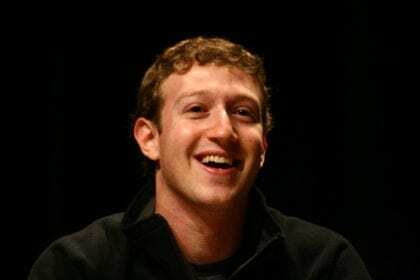 Mark Zuckerberg, a former Harvard undergraduate student who dropped out to focus on his Facebook business, returned to the university on May 25, 2017, to receive his own degree (an honorary doctorate) and to deliver the commencement address for the rest of this year’s graduating class. Describing what this new social contract might look like, Zuckerberg proposed that “we should explore ideas like universal basic income to make sure everyone has a cushion to try new ideas.” He also called for other policy reforms such as affordable childcare and portable health insurance benefits (as opposed to the employer-linked health benefits that predominate in the United States), as well as continuous lifelong education. Zuckerberg then proceeded to other topics, such as the importance of charity and building communities at both local and global levels. Although brief, Zuckerberg’s passing mention of universal basic income is noteworthy as the famed and influential entrepreneur’s first public comment on the topic. Moreover, while his singular remark was not an outright endorsement of the policy (as some headlines and social media posts quickly began to claim), it is clear that Zuckerberg sees it as at least worthy of serious investigation. It is also notable that the Facebook CEO did not broach basic income as a solution to automation and technological unemployment, in contrast to some other tech entrepreneurs who have backed the idea (e.g., perhaps most famously, Elon Musk). Instead, Zuckerberg’s primary motivation seems to be the need to secure individuals against risk to facilitate, e.g., entrepreneurship, innovation, and cultural production. Zuckerberg is not the first member of Facebook’s founding team to speak positively of basic income: cofounder Chris Hughes, a founding member and co-chair of the Economic Security Project, has become one of the policy’s foremost advocates in the United States. UBI as a cushion to try new ideas…..Absolutely the main argument we should carry forward! I have only just stated looking at Universal Basic Income and from what I have read and heard it seems that many of its proponents are coming from two misconceptions. The first is that somehow work is bad as it stops people from doing more meaningful things and secondly that automation, robotics and AI will replace jobs without creating new ones. I believe the opposite on both counts. Work is good for you and secondly automation, robotics and AI will create new jobs in areas that we don’t even know about now. I work in financial services in the UK and automation and roboadvice is advancing every day. I say bring it on because I am confident in my skills to be able to survive and prosper in this environment. All ideas are worth exploring; that is the essence of progress from my point of view. Unconditional Basic Income is indeed worth exploring. Of course it is important to have a strong believe in the own capabilities if you want to be successful in life. I work in banking too and I can state from own experience that own adaption to the expected new employment environment is advanced a lot, if you have already one of the rare highly specialised top-jobs, have a financial cushion, a helpful network and if you are one of the drivers of automation and productivity explosion expected. But I personally believe that above mentioned individual factors should not prevent from seeing the whole picture: roughly 50% of today’s jobs are at risk by automation(1). The question is how should society deal with this rapid changes without pushing 50% of workforce in misery. From my point of view that is the same quality of argument as in “all people are lazy and will not work unless forced to”. I will not go in depth into evaluation of such kind of arguments but cannot without stating that from my point of view the ideal here is “forced labour”; an ideal that is not in agreement with the universal human rights. No dear Paul Gregor, work is good for you I believe. Provided it gives you the opportunity to achieve something meaningful (from own perspective) in a decent work environment and if it allows financing a decent life. But: bad jobs are bad, if work is meaningless (monotonous and repetitive), the working environment is indecent and / or the job does not even pay for basic necessities of life. The good news is that automation, robotics and AI will abandon (hopefully all of) the bad jobs (but on the other hand unfortunately of course also plenty of other jobs). Yes, some new jobs will be created. Do we know if the new jobs will reach the numbers of lost jobs? Isn’t it worth exploring too? Besides of the quantitative aspect, I doubt if e.g. a taxi driver (self-driving vehicles) or an average production worker (industrial robots ) or a sales assistant in any kind of shop (internet shopping) to name only few, who will eventually be made redundant because of technological progress, will be in a position to catch one of the “new” jobs created. Especially if the individual is supposed to earn a living while at the same time expected to pay for his education and training for gaining the expected skills necessary for the “new jobs” of the future. Unconditional Basic Income would give the person concerned the opportunity to focus on that aim and achieve. Achieve for oneself and for the society as a whole.